Alaska Airlines is a little-known British Airways partner. Whilst it is not a member of the oneworld alliance, you have always been able to earn and redeem Avios points on Alaska (which operates in the American North West) as per this page on ba.com. It is a similar arrangement to the one with Aer Lingus. Alaska also offers members of Alaska Airlines Mileage Plan the opportunity to earn miles when flying on BA. Since January 15th, this has been expanded. British Airways flights credited to Alaska Airlines Mileage Plan now count for status with Alaska as well. I can see a scenario where – for a small number of people – crediting some BA flights to Alaksa might be beneficial. This is especially true if you have already retained BA Gold for next year and so no longer need the British Airways tier points. Why do this? Because Alaska has an interesting range of redemption partners. You can redeem on the usual oneworld mainstays such as American Airlines, LAN, Cathay Pacific, Qantas and of course BA. But you can also redeem on Emirates, Aeromexico, Air France, Delta, Era, Fiji Airways, KLM, Korean and PenAir. Most (not all) partners now allow one-way redemptions. There are also some good deals in there – the best from a UK perspective is probably 85,000 miles for a RETURN Cathay Pacific business class redemption from Hong Kong to anywhere in Europe! Emirates is a bit of an issue, as there is no award priced for London to Dubai. You can only redeem from/to North America, which ironically means (if you live in the UK) having to book the Milan to New York flight I think. You only need to credit 25,000 flying miles across Alaska and/or its partners to achieve MVP status. This will give you a 50% mileage bonus on future BA flights credited to the programme. Alaska may also be an option if you know you will be doing a limited amount of flying on Emirates, Aeromexico, Air France, Delta, KLM and Korean. By crediting these flights to Alaska, you would be able to top up your account to a decent redemption using British Airways flights, or indeed a Starwood Preferred Guest points transfer. At the end of the day, this is very much going to be a minority interest – but there will be value here for some people. 12,000 Avios (5,000 Clubcard points) for Tesco Life Insurance is back! CX is great value in/out of HKG from just about any place via Alaskan so the program could offee excellent potential for people looking for regional in Asia or who are mixing and matching programs to put together their whole plan. The fact that Delta has recently been increasing their flights on Alaska’s NW turf is clearly upsetting Alaska, who are looking elsewhere to strengthen their relationships. 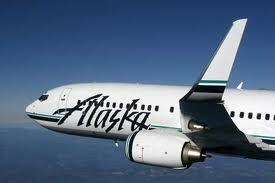 Alaska also run regular sales that allow you to buy miles at a discount. What’s more, you can keep going back as many times as you like – there’s no annual limit. I reckon with the sale, you can get LHR-HKG all in for about £1500 on Cathay in J. That’s no bargain especially as you earn no miles, but if you need to be out and back quickly and don’t want to be away for the weekend, it has its merits. AS charges taxes of c. $350 on a LHR-HKG-LHR in CX J. Can I assume that this doesn’t work the other way round. And although I will earn Avios on my upcoming Alaska flights, I will not get any BA Tier points from them? oneworld airlines usually credit based on the MARKETING carrier, so the Horizon flight with an AS flight number should credit to BA …. Alaska also status match from BA (or at least did when I tried in mid-2012). They do this up to their mid-tier MVP Gold status, which gives a miles bonus and unlimited upgrades on Alaska flights. Particularly worth noting if you were to redeem (avios or Alaska miles) on one of their many flights from the west coast to Hawai’i! Totally OT but what do you value HHonors points at for redemption? I was thinking about 0.05 cents. Yes, I agree – I work off 0.3p which is almost exactly 0.5c! That said, ‘cash and points’ usually gets you 0.5p, but a lot of hotels do not offer ‘cash and points’ as an option (and even if it does, you may want to use points to save money). On the Alaska Airlines topic, they’re offering an up to 40% bonus when buying miles. If they let you book Emirates flights ex Europe, which they don’t, this would be fantastic! Raffles, do you think this is as good as it seems? Fundamentally, yes, it works nicely if you need that particular redemption (double-check the numbers first). Not sure what Cathay availability is like, although of course you could use any European departure city so I’m sure you’d get something. Unsure what taxes Alaska adds on top of Air Passenger Duty, if any.